For people missing many teeth, a custom set of full or partial dentures can restore the appearance and function of the smile. These false teeth allow people to bite, chew, and carry on with their daily lives just as they normally would. Modern fabrication technique and materials allow for a natural appearance and a great fit. This wasn’t always the case. In fact, the history of dentures reveals century upon century of human innovation in an attempt to replace missing teeth. 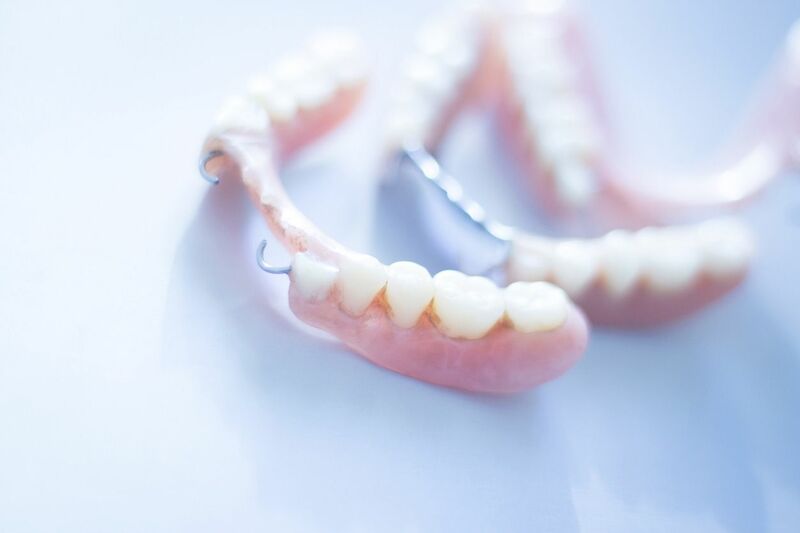 Skillman, NJ dentist Dr. James Altomare and his team would like to offer a brief history of dentures to give you some perspective on how far dentistry has come. You can find evidence of the first dentures/false teeth in 700BC. The Etruscans crafted crude dentures using animal teeth and human teeth. This use of actual teeth would persist into more recent times in rather morbid ways. When making these old false teeth, ivory tended to be the ideal material. Even though the ivory did not look like natural teeth when it rotted, it was a common base for false teeth. The most frequent sources of ivory included hippopotamuses, walruses, and elephants. Some of the first wooden teeth can be traced back to 16th century Japan. Beeswax would be used to take impressions when crafting these old wooden dentures. The first of these wooden false teeth were entirely made from wood, though they would eventually incorporate animal teeth, human teeth, a type of stone called pagodite, and animal horn. Wooden teeth would eventually reach the western world in the 18th century. The Japanese continued to use wooden false teeth into the 18th and 19th centuries. The old legend is that George Washington had a set of wooden false teeth. That’s false; and we’re not pulling your leg (or your teeth). The first President of the United States owned several sets of dentures during his life, and some historians suggest that none of them were made of wood. instead, Washington’s dentures were made of ivory and were comprised of human teeth. As with many dentures during the 18th and 19th centuries, the upper and lower dentures were held together with springs. In Europe, ivory dentures continued to be popular, though porcelain began to be used as well. The first porcelain false teeth were developed in France during the 1700s, though their durability would be improved in the 1800s. Like George Washington’s false teeth, springs were used to help hold the dentures in place. We mentioned that human teeth were common in dentures of old. In Europe, the Battle of Waterloo provided a large supply of human teeth that would be used in making dentures. Rather than using ivory, the 1800s saw a major step forward in dentures. Charles and Nelson Goodyear (of tire fame) created a rubber base for dentures that was pink, making the dentures cosmetically more appealing and far more comfortable than ivory. The biggest innovations in the 20th century tended to be the improvement of dental ceramic materials and the development of plastics. These made dentures even more durable and realistic looking. Improvements in dental x-rays and digital technology in the later half of the 20th century allowed for greater comfort and customizability of a denture. For more information about dentures and how they can help you have a healthy and functional smile again, be sure to contact an experienced cosmetic and restorative dentist. You can reach our practice by phone at (609) 921-1020.